UPDATE: According to ABC News’ Clayton Sandell, Lucasfilm says there are still “multiple films” in development at the studios aside from the announced Rian Johnson-led trilogy and David Benioff/D.B. Weiss. series. The studio also described reports to the contrary as “inaccurate.” Lucasfilm offered no further details and, while certain projects have been rumored in recent years, no other spinoffs had been formally announced. Following the disappointing box office results for Solo: A Star Wars Story, Lucasfilm has reportedly put the brakes on additional saga spinoffs. According to Collider, those familiar with the situation say Lucasfilm has decided to put a hold on future “Star Wars Story” installments for the time being. 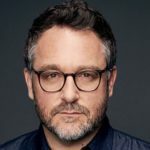 Instead, the studio will focus its energy on Episode IX and the trilogy of films that will follow it. 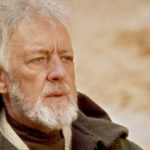 Among the projects impacted by the decision, an Obi-Wan film that was in active development has apparently been halted and those attached are no longer moving forward. 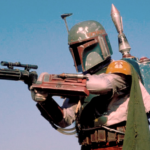 Additionally, although reports suggested Logan director James Mangold was in talks to helm a Boba Fett feature, it seems as though that project is on pause as well. Solo: A Star Wars Story opened last month and, despite placing atop the box office, its opening weekend amounted to a less-than-expected $84 million. Currently, its domestic total sits below the $200 million milestone. By comparison, the first “Star Wars Story” — Rogue One — ended its domestic run with $532 million. 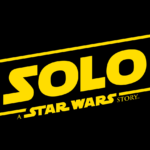 It’s also worth noting that Solo endured a famously troubled production, which saw original directors Phil Lord and Chris Miller ousted just weeks before principal photography was set to wrap. The duo were quickly replaced by Ron Howard, who completed the film and reportedly reshoot a good amount of footage. [SPOILERS] If other Star Wars spinoffs won’t be seeing the light of day for some time, those fans who did see Solo and had questions about the major cameo in the film’s third act will likely be left hanging. With the 2018 edition of the now-legendary San Diego Comic-Con just around the corner, Hasbro has unveiled two Con-exclusive Star Wars sets. The first depicts the battle between Rey and Kylo Ren in The Force Awakens while the other features Han Solo in The Empire Strikes Back.